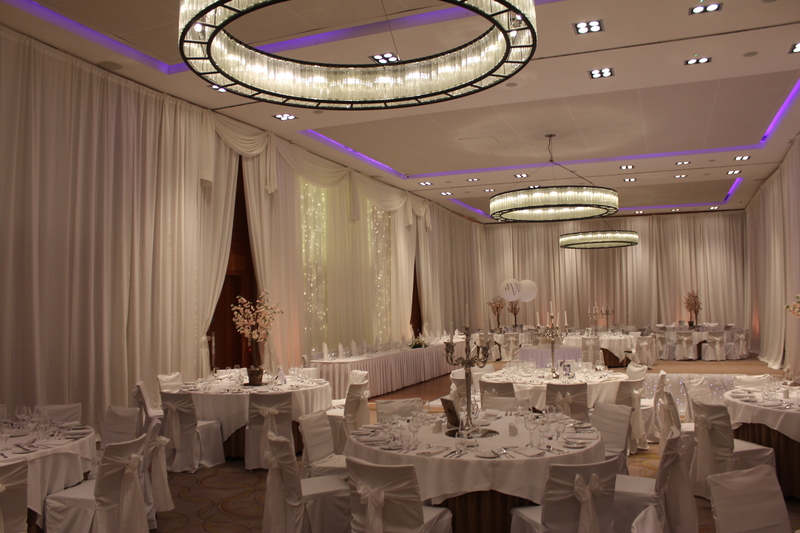 Wedding Draping is floor to ceiling draping using a system called pipe and draping. The pipe and draping system is the metal frame work that goes around a room from which the fabric will hang. It is a free standing system so there are no fixings or attachments to the venue walls, floor or ceiling. As none of their property is touched or altered it is generally welcome in most venues. 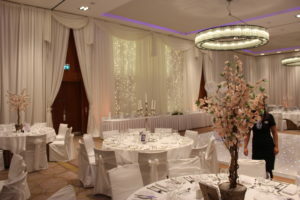 Wedding Draping will cover up bad walls, horrible curtains, unsightly mirrors, store room doorways that don’t need to be open and many more things that are better not seen on a special occasion. Wedding Draping is also fantastic for turning a large function room into a smaller intimate setting when the numbers are not big enough to fill the large room. We can do this by building a wall of fabric across the room transforming the empty large room into a comfortable size for a smaller wedding. 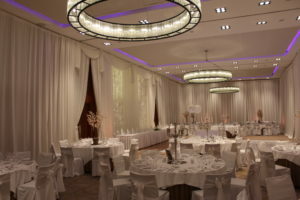 Wow-Weddings regularly provide full room draping for weddings in the beautiful Farnham Estate in Cavan. The amazing 4 star hotel is a major wedding destination as well as been a haven for golf and spa lovers. Wedding draping from Wow-Weddings is something very special as we have the widest range of draping options and styles of draping in Ireland. 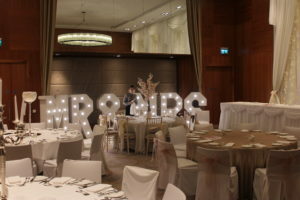 This with our incredible range of products will ensure that we can create a unique wedding room that will WOW- and amaze your family and friends on your special day. 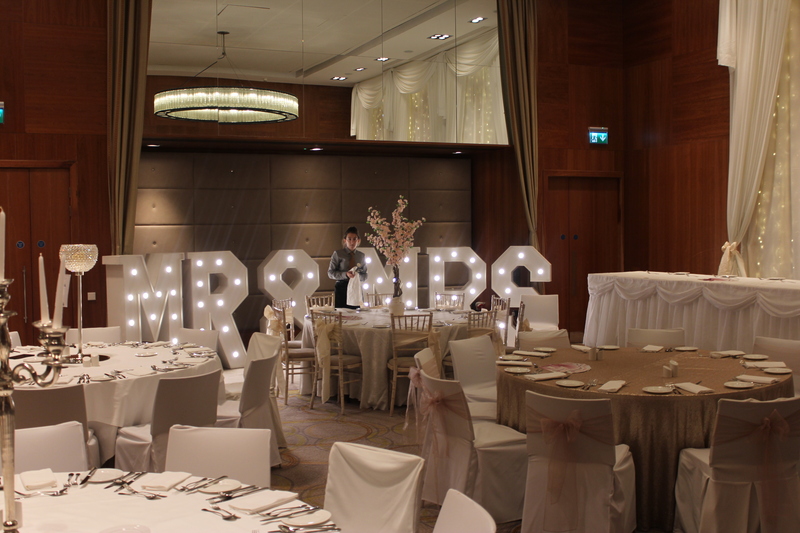 Below you can see our Light Up Letters in Farnham Estate.